Alberta Caribou Population: Environmentalists Take Their Concerns To U.S.
EDMONTON - Alberta environmentalists are going south with their concerns over the effects of the province's energy industry on caribou. Convincing Alberta's oil customers in the United States that they should press for greater protection of the vanishing herds is the only way to get action, said Helene Walsh of Keepers of the Athabasca, one of the groups behind the move. "We think that's the only hope for our caribou and other issues of biodiversity in the province," she said Tuesday. "It seems clear ... that depending on the Alberta government for better resource development just isn't going to do the trick." The Keepers, along with the Alberta Wilderness Association, have sent a package of information on caribou habitat to groups who were involved in a rally in Washington on the weekend against the proposed Keystone XL pipeline. The Alberta conservationists want caribou to become part of a wider discussion in the U.S. on the environmental impacts of Alberta's energy industry. The information points to studies that suggest nearly all of Alberta's 13 caribou herds are in decline, with several of them expected to vanish within a generation. 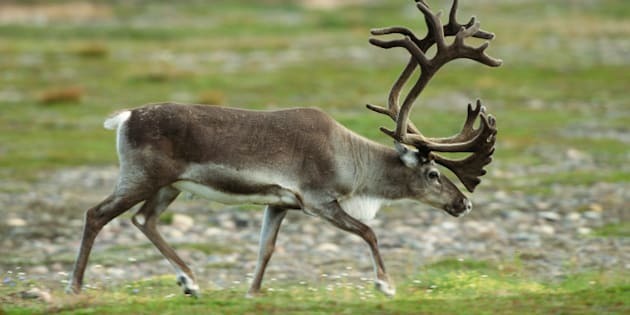 Habitat fragmentation, which shrinks the old-growth forest that caribou need and provides predators for a route to the animals, is generally cited as the main reason. Alberta continues to sell oil and gas leases in the small remnant of caribou habitat that remains relatively undisturbed. But Alberta Environment spokeswoman Nikki Booth said a lease sale doesn't mean industry just moves in. "Just because a lease has been sold does not mean the lease is active or that the entire lease area would be disturbed," she said in an email. "In order to disturb any land, industry must complete a rigorous and comprehensive application and assessment process." Booth said the province is creating land-use plans that will preserve habitat. The first such plan, completed last year for the oilsands region, saw some leases cancelled and a new wildland park created that included caribou range. Environmentalists have pointed out that the cancelled leases weren't on caribou habitat. They add that if other land plans take as long to develop as the first, some herds will likely already be gone. Walsh said that's the kind of information an increasingly environmentally aware population wants as it makes its energy choices. "Increasingly, the markets are demanding more sustainably produced products," she said. "They need to know that's not what's happening in Alberta and maybe that pressure can force change." One of the groups that received the information was the Washington-based Natural Resources Defense Council. Spokeswoman Elizabeth Shope said the group has been aware of caribou concerns for some time and will use the new material as it lobbies U.S. lawmakers and the State Department on the upcoming Keystone XL pipeline decision. Although Keystone would largely move bitumen from the oilsands, Shope said the oilsands and the conventional industry are part of the same problem. "It's really important that the State Department consider the impacts to caribou and other wildlife as part of the environmental impacts of the proposed Keystone XL pipeline." Walsh doesn't make any apologies for enlisting foreigners in what might be considered a provincial issue. "We're trying to motivate government and industry to do better so they will have continued access to markets. Balance between economic development and the environment does not mean that the environment loses all the time."